While sun exposure can contribute to better sleep quality, stress relief, increased serotonin levels (for mood improvement) it is also a remedy for seasonal depression. Limit the amount of time you spend under direct sunlight. Find shade or stay indoors, especially between 10am – 4 pm. Take extra precaution when venturing to areas with sand, snow, and water; as these surfaces reflect UV rays and amplify exposure. For optimal sun protection, consider coverage, colour, and fabric type when selecting clothing. Long sleeves and long pant legs provide the most coverage and with regards to colour, dark clothes offer a more effective barrier against UV rays. It should be noted, however, that the darker the material, the more heat it attracts. Clothes made of dense, tightly woven fabric provides better defense against sunlight than those made of light, loosely woven materials. Donning a wide-brimmed hat can be most beneficial for protecting the face. Modern design has made available clothes constructed of lightweight (but tightly woven) fabric, coated with substances formulated for additional UV protection. Be on the lookout for garments that indicate “UPF levels” ranging from a minimum of 15 to a maximum of 50+. Wear large sunglasses with 100% protection from UV rays. When selecting sunglasses, choose larger frames for better coverage. Dark coloured or polarized lenses do not add protection; but certain tints can add contrast and polarized lenses cut glare for better enjoyment of outdoor activities. Choose sunscreens with SPF 30 or higher and broad-spectrum sun protection. SPF indicates the amount of protection against UVB rays while products with broad spectrum protection guards against both UVA and UVB rays. Sunscreens with a combination of these two factors can ward off premature aging and skin cancer if applied while using other methods of protection. Sunblock products, like HelioCare Sunblock, offer an SPF 50 and broad-spectrum protection. 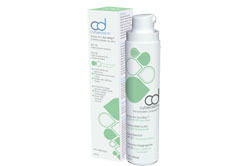 Other options like Coola and Cyberderm (SPF 30), are made from organic ingredients suitable for the most sensitive skin. Zo Oclipse (SPF 30) can double as a primer when applied under makeup, for longer lasting wear. Consult with the skin care experts at Clarity Medspa & Laser for sun damage prevention. We can recommend the appropriate products and preventive measures suitable to your individual skin care needs. Treatments for pre-existing skin conditions resulting from too much sun exposure (e.g. wrinkles and dry skin) are also available. Call us at (416) 960-2222.